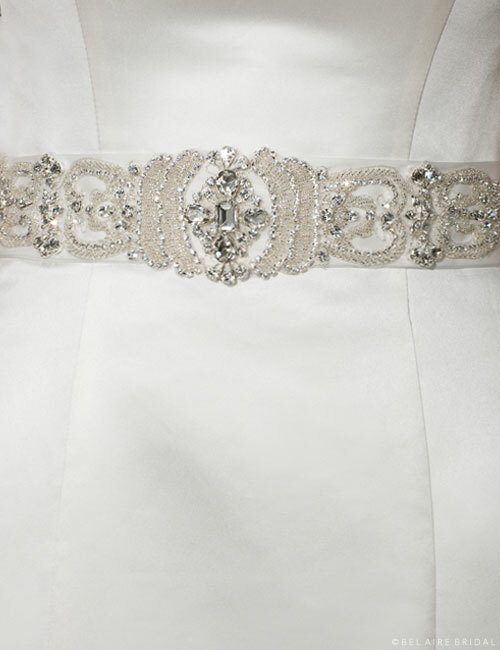 Embellish your grand entrance with a royally beaded satin belt glittering with rhinestones! 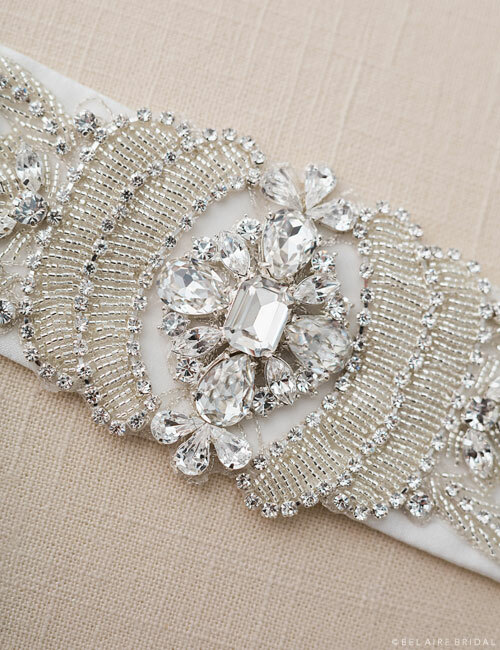 Adding the perfect definition and shimmer to your regal gown, this piece goes gloriously with a tiara, headband, or rhinestone jewelry. Sash ties at back. Available in Ivory, White, or Diamond White.